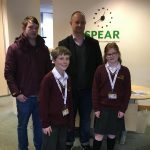 At SPEAR we recognise that there are various groups who play a role in the local community and want to help that community grow and benefit. That is why the local community and those within that community are so important to the work SPEAR do and we could not continue our work without their help and support. If you are part of a local religious organisation, school or community group, we are always looking for your help and support. Whether you are part of a church, community group or work at a school, could you get them all behind you as you take part in the UK’s preeminent Pro/Am cycling event? With your friends and colleagues cheering you on how can you fail? Please see below for ways you can get involved or visit our Events Page for upcoming activities. Please contact our Fundraising Team at fundraising@spearlondon.org if you have any questions! At SPEAR we recognise that religious organisations are a vital part of the local community and we know that we couldn’t continue our work without their support. We are keen to build strong relationships with religious and local organisations that benefit both sides and are happy to provide a speaker for one of your services. Regular giving: Regular gifts are incredibly valuable to SPEAR as they allow us to plan our work effectively, building on existing and successful services and developing new ones. Christmas and Harvest offerings: At Christmas and Harvest religious organisations traditionally remember those who are less well-off in the local area. Would your organisation consider donating gifts of food or the offering from your Christmas carol service or Harvest Festival to SPEAR? Homelessness Sunday: As part of Poverty & Homelessness Action Week, the last Sunday in January each year is Homelessness Sunday. SPEAR would love to help you to mark this event by providing a speaker or worship resources to help your organisation to reflect on homelessness in the area. 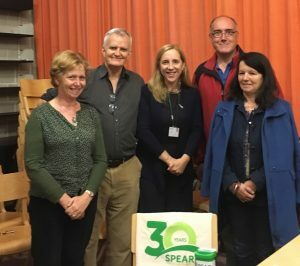 Events: Would your church consider either holding their own fundraising event or taking part in one being organised by SPEAR? Whether it is taking part in SPEAR’s fundraising events, donating some of the takings from your summer or Christmas fete or running your own event, this way of supporting SPEAR is great fun. 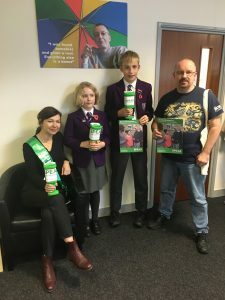 At SPEAR we are keen to educate young people about homelessness. We have resources that will both challenge and inform them about the cause and effect of not having a permanent home to live in and would be more than happy to come along to your school for an assembly or PSHE lesson. At Christmas and Harvest schools traditionally remember those who are less well-off in the local area. Would your school consider donating gifts of food or the offering from your Christmas carol service or Harvest Festival to SPEAR? Whether you are part of a Scout or Guide group, the Women’s Institute, a local Rotary Club, play in a football team, or sing in a choir, SPEAR would love to work with you! To talk about ways of being involved with us please contact our fundraising team at fundraising@spearlondon.org or call 020 7036 9766. Providing a speaker: If your group has guest speakers we would love to come to a meeting and lead a session about homelessness in the area. We can make this interactive, ensuring your members will feel both challenged and encouraged by the work that we do with some of the most vulnerable people in the borough. Events: Would your group consider either holding their own fundraising event or taking part in one being organised by SPEAR? Whether it is taking part in SPEAR’s fundraising events, donating some of the takings from your summer or Christmas fete or running your own event, this way of supporting SPEAR is great fun. From a coffee morning to a sponsored walk to a group abseil, there are many different types of events your group could hold! SPEAR can provide you with fundraising tips and sponsor forms as well as information about our work for you to give to donors. Please see our complete Events Calendar. Building relationships with volunteers is very important to us and is a great way for a group to feel more involved with SPEAR. You could help us with an outreach shift where they would gain firsthand experience of engaging with those sleeping rough. Our Skills Development team is always seeking assistance for one of the many activities happening at the hostel, giving you the opportunity to support clients as they begin to rebuild their confidence. We also always need an extra pair of hands at any one of our events – these are great fun and a good way of engaging the wider public with SPEAR’s work. For more information about this, contact our Volunteer Officer at volunteer@spearlondon.org. A generous cheque from a few of The Kingston Morris dancers.